The Hope Haitian Choir is made up of about fifteen young adults and children fromages 7 to 17. Most are from the Port au Prince area in Haiti. 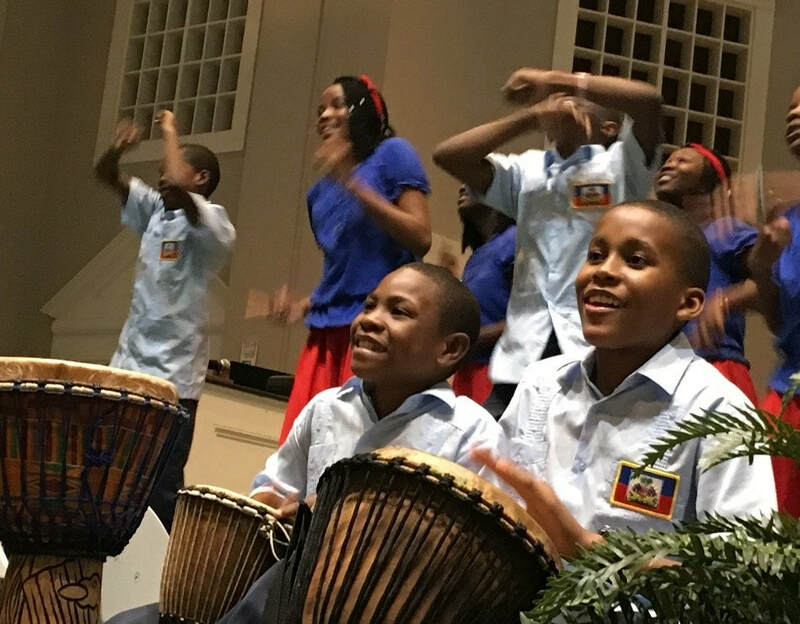 The children, along with their chaperones, have come to the states for a month each summer since 2012 - singing and dancing and sharing the hope of Haiti throughout the eastern US. The cultural exchange, the bonds that are formed, the shared love of Jesus Christ are precious and we invite you to become a part of this experience by booking a date with our choir this August, 2019. Most of our concerts are at churches throughout the eastern U.S. but we have also been privileged to perform on radio and television stations, on a library lawn, at a block party, Walmart, a fair, at Christian conventions in Haiti, and even at the Rotunda in the Capitol building in DC! Our most recent promo video is below. Also, check out the great video below produced by our friend Gephte Joseph after training in March of 2016. And more on YouTube! For more information about booking the choir, please contact us at info@hopehaitian.com.